I'm not sure exactly where Brenig took this photo, but based on his description, I'm sure that it was somewhere in the UK. 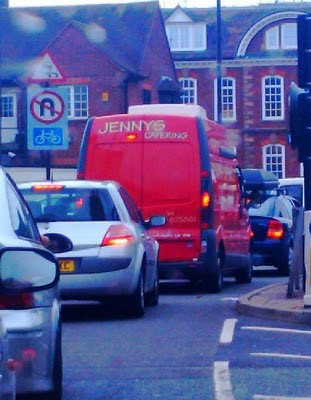 "I saw this van whilst in a traffic queue," he writes. I'm definitely an Anglophile, but this apostrophe catastrophe doesn't do much for England's image.